It happens to everyone: your house is in the market, you’ve laid out cheese and crackers for the open house, you’ve sent out the flyers. The first day goes by and…nothing. Not a single interested buyer or a serious purchase offer. “Difficult Houses” are what realtors call properties that they’re having trouble selling. 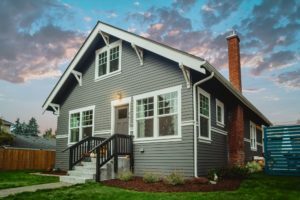 There are a variety of reasons why your house just isn’t piquing anyone’s interest, but here are a few ways to try and narrow the exact reason why. The best way to get an accurate reading, so to speak, of your property’s value is to study the local real estate market. Find out if other homes in your area aren’t selling, and if they are, then you need to get your house in the top 5%. The best way to do this is to check out the pending sales data. Usually, agents will set the asking price based on currently closed properties. But these prices are usually a few months behind current prices. Instead, study the price point of homes that are under contract, as these are almost always a better indication of what the current market is like. Once you get a feel of what the market is like, look at the physical condition of your property and make an honest assessment: is your curb appeal up to snuff? Can you improve the interior décor? Are there leaks that need fixing? And so on and so forth. Again, study the competition. Take a look at the top houses in the market and use that as a basis for your improvements. If the top houses have refurbished furniture, then do yours better. Consult with your agent and find out what improvements you can do to your house to give it more zing. You never know, a renovated bathroom or a well-carpeted living room might just be the something that a potential buyer is looking for. It goes without saying that a picture is worth a thousand words, and in real estate, a good set of pictures can mean the difference between a same-day closing and languishing in the market for months. Most real estate professionals use the MLS, or Multiple Listing Service. This shared database has thousands upon thousands of listings, and a recent study showed that listings with only one photo barely get any traffic. Meanwhile, listings with a comprehensive set of photos that show every angle of the house, from backyard to living room, not only get noticed, but actually get offers. If you’re not confident taking photos with your camera phone, hire a professional. Often, there are photographers out there who know how to really make a house pop. Insist on wide-angle shots and plenty of natural-looking light. Play up your house’s natural charm: if it has wide hallways, feature that. If it has a quirky, unique, or interesting feature, like a cozy fireplace or beautiful doorways, show that too. 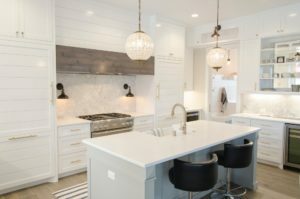 Kitchens are a hotspot for buyers; studies show that most household activities happen in and around the kitchen, and buyers will be keen on looking through yours. Tidy up and get high-quality photos of your kitchen. People love to see space, so don’t be afraid to move around furniture in the living room to give it a more spacious feel. If there’s a dining table, set out your best silverware. It’s good to give buyers an impression of what it would look like when they move in. Take photos of all the rooms, not just the master. More often than not, buyers will count the number of bedrooms in the MLS listing, and if even one room is unaccounted for, they’ll think that your listing is erroneous and pass it by. Don’t forget your garden and your backyard. If you must, buy fresh flowers to lay and make sure that your grass is kempt. Try to get your photo on a clear and sunny day so that your backyard shines like a gem. Lastly, practice your writing skills and write descriptive paragraphs for each photo. Try to evoke moods and emotions in the way you describe them. This way, you get to make buyers feel what it would be like to live in your house. There is no one-size-fits-all type of marketing when selling a home. Instead, combine as many marketing efforts as you possibly can. Go back to your MLS listing and place an ad in other classifications. This helps you get noticed by buyers from different walks of life. You never know where your next buyer might be coming from! Let your neighborhood know that your house is in the market. Mail out postcards advertising your open house to homes in the area. Don’t forget the surrounding neighborhoods too! Be creative and make a 3-fold brochure for buyers who go and tour your home. This should contain all the necessary information about the house, including the number of your agent. If you have the extra funds, hire a professional videographer to take videos of your home so you can upload them as a virtual tour. No one wants to undersell their home, but a surefire way to make sure that no one buys your home is to pin a price tag that isn’t commensurate to your property’s actual value. Always make sure that your listed price reflects market value; NEVER ask for an inflated figure. 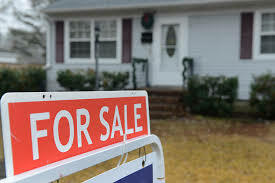 To avoid this, sit down with your agent and study the sold comparable sales of homes in your area. Adjust for square footing and location. Remember: if your house is not in a prime location, you might not get the same price as houses in better areas. Conversely, however, properties in great locations can go for higher. The best way to do it? Price your home at least 1% less than the last home sold in your area. It’s a bit counter-intuitive, but in a buyer’s market, that’s the best way to get an offer. Remember: underpricing is more acceptable than overpricing. Overall, make sure that you coordinate with your agent closely. Study as much as you can about your local real estate scene, be honest with what your house needs, and hope that you get an offer soon!